Mother’s Day is coming and I love celebrating all the Moms in my life! Being a good parent is one of the, if not THE, toughest and most rewarding jobs that exists. I am not only blessed with a supportive and grounded Mother, but also a courageous and big-hearted Mother-In-Law. I can only hope that some of the wisdom I have recieved from the strong moms in my life is passed through me in raising our son. Sometimes finding just the right gift, whether DIY or lovingly purchased, can be a bit tricky if I am honest. 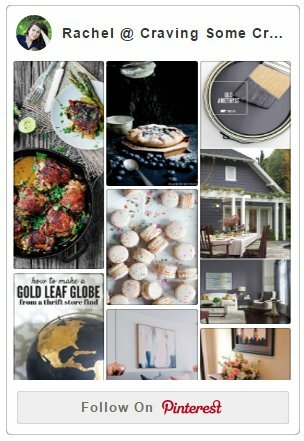 I put together a list of presents that Mom would love! I even involved a few moms in creating it, so I know it’s good. This post contains some affiliate links for your convenience! 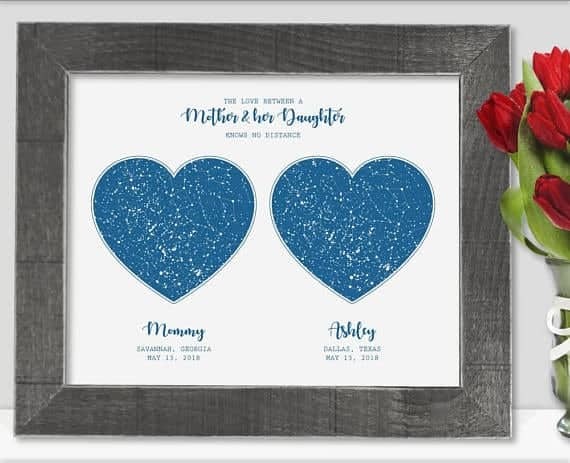 Constellation Chart Print – How sweet is this? Personalize it with your birthdates, locations, and many colors. I love this clever idea as a gift for Mom, because love knows no distance. I use Fab Fit Fun and they make an amazing gift idea! What better way to pamper mom with a valuable box of lifestyle goodies. This is by far my favorite subscription box. I even buy extra boxes as gifts and you can get $10 off your first box. Great news! Use the code HEATWAVE for $10 off your summer box! 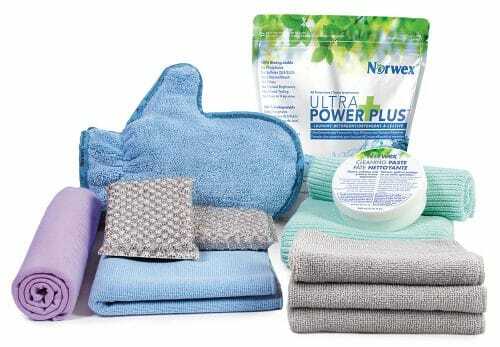 Norwex Cloths – While gifting your mom cleaning supplies may seem like a not-nice gift, this is totally different! I love gifts that give me more time, save money, and make my life easier (and every single mom in my neighborhood raves about these). If you aren’t familiar with Norwex, you can check out my review HERE. If you are looking for a starter gift, I would go with the window cloth (life changing! ), the enviro cloth, and either the cleaning paste or dusting mitt. If you do order and use Rachel’s party, I might one one day enough for a bag of laundry detergent. Gardener Basket – As a gardener myself, I want this basket. 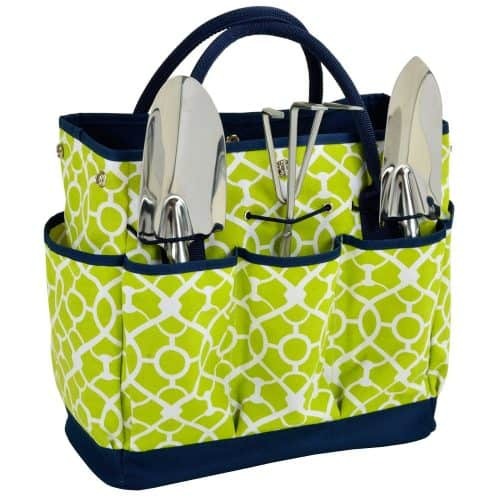 It’s so convenient to carry all the tools you need and have a place to carry the vegetables or when weeding the flower beds. Makes gardening life much easier! 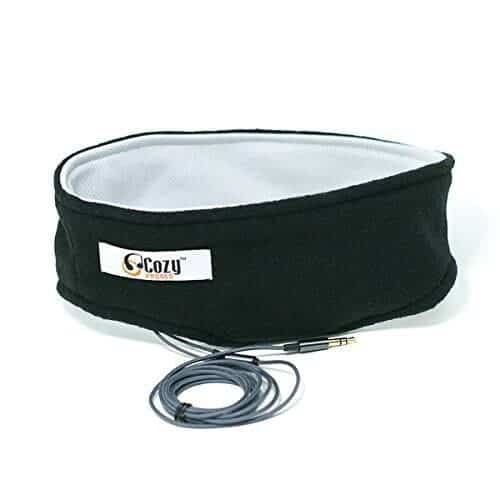 Sleep Headphones – Most of us busy moms could use some more sleep, am I right? These headphones are super comfortable and everyone I know loves them over uncomfortable earbuds. The volume is well adjusted and the headband fits almost everyone. Great for jogging, listening to calming videos before bed, and help to drown out someone else’s snoring! Spa Finder Gift Card – Mom definitely deserves a little pampering and you can easily buy a Gift Card to the service of her choice or choose the amount and let her decide how to spend it! If you want a physical gift to go with it, try a facial brush or these magic Baby Feet masks. Or go with her for an experience together! I love experience gifts. While I wouldn’t recommend gifting a mom you like cliff diving, experiences are gifts to last a lifetime. Take Mom on a wine tour or take a class together in something she has always wanted to try like flower arranging or cooking. Not just for mother’s day, but I have coordinated trips for The Macy’s Day Parade, New Orleans, and several of the memorials in our nation’s capital. Food Gifts are always popular for a reason, we love them! 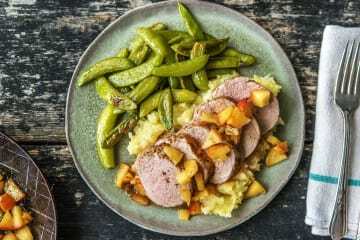 Meal Subscriptions like Hello Fresh and Home Chef are perfect for busy moms, grandmothers who want a break from the same ol’ recipes, and anyone is who is just tired of answering “What’s for dinner, mom?!”. Tea Drops Sampler – Just drop one of these dis-solvable, shaped tea drops into a cup of hot water and enjoy. High quality and wonderful convenience for tea lovers everywhere! Silicone Mat – Nothing sticks to it. You will never need to flour counter tops again, or clean baked on cookie mess from pans. Instant Pot – Another perfect gift for any mom short on time, but wants delicious home cooked meals for the family. Amazon Audible – for the book lover in all of us. Every month you can download one book-on-tape to enjoy during those harsh commutes, airplane rides, or just some quiet time. 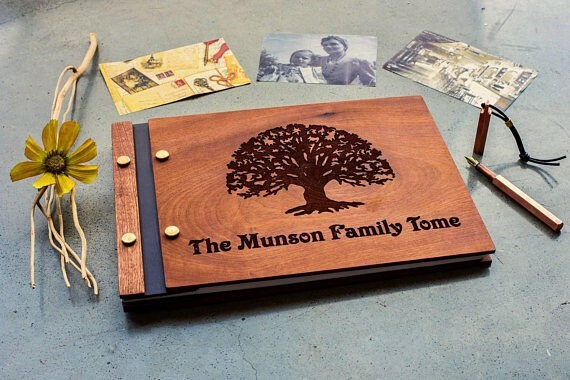 Custom PhotoBook – This cute photobook features a solid wood cover and lasered design of your choice! Who wouldn’t love such a personalized gift of memories? I think my Mom will like the custom photobook, why I have never thought about it? Thank you for sharing the gift ideas! Rachel, all these gifts are great. But this basket is wonderful! Thank you very much for the tips. Thank you! I love that basket. Maybe my husband will get this hint this year, haha.